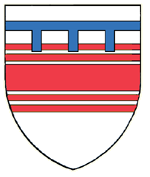 Bartholomew de Badlesmere (1275 – 14 April 1322), English nobleman, was the son and heir of Guncelin de Badlesmere and Joan FitzBernard. He was married to Margaret de Clare - daughter of Thomas de Clare who died in the Battle of Thomond, Connaught, Ireland. 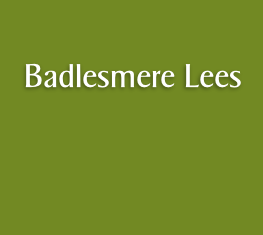 Bartholomew de Badlesmere fought in the English army both in France and Scotland during the later years of the reign of Edward I of England. During his lifetime he rose from provincial obscurity to national prominence and then abruptly fell, executed as a traitor; a graphic illustration of the uncertainty of Edward II's England. In 1309 he was granted Chilham castle in Kent, henceforth his principal seat, he also held Leeds Castle in Kent. From then on he attended parliament as a baron. An influencing factor here may be the patronage of the Earl of Gloucester, whose principal retainer he was, and whom he assisted as keeper of the realm in 1311.